Remove the frame cover. Refer to “exterior parts removal and installation” in section 9d (page 9d- 6). 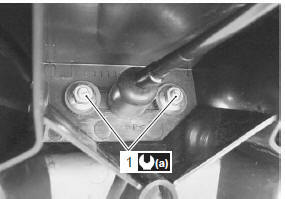 Disconnect the license plate light coupler (1). 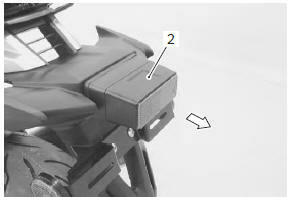 Remove the license plate light assembly (2). tighten the license plate light mounting nuts (1) to the specified torque.